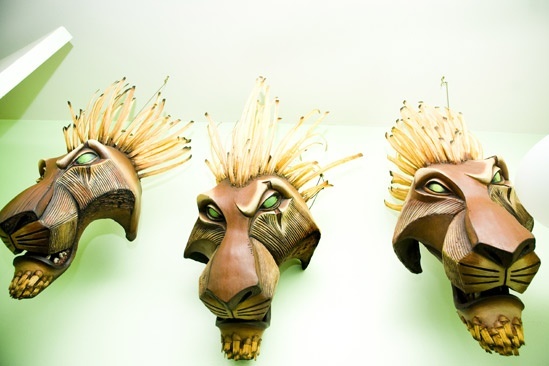 A trio of intimidating Scar masks hang in the dressing room, waiting to come to life. One mask flips up and down throughout the show to reveal Saxe’s face. The second remains stationary; the third is for understudy use.